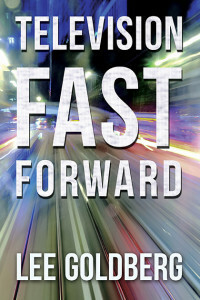 I’ve just re-published a revised, and substantially updated, edition of my book Television Fast Forward: Sequels and Remakes of Cancelled Series in ebook (Kindle, Apple, Nook) and trade paperback. This book was originally published in 1992 under the title Television Series Revivals and was a labor of love for me. It was a book I wanted to read and, since nobody else had written it, I wrote it myself out of frustration. There have been dozens of television series revivals since the book came out… enough for another book, which I hope to write some day, because I am still a big TV geek. In the mean time, I’ve only updated series that were in the first edition that have been revived yet again since then. All of the other TV revivals and remakes produced since 1992 are listed in two appendices at the end of the book…which will have to do until I get around to writing a new volume. I’ve collected all the information…and most of the shows themselves in one form or another (DVD, VHS, digital) I just have to sit down and write it. In addition to adding that new stuff, I’ve also deleted the entries on the new Twilight Zone, Alfred Hitchcock and Ultraman that were in the previous edition because they did not meet the inclusion criteria for the book. So why were those shows included in the first edition? My ego got in the way of my good sense. I’d written articles about those three shows, interviewed the key creative talent involved, and even visited the sets of the new Twilight Zone and Alfred Hitchcock during production. I thought I had some really good stuff and I wanted to save it for posterity. So I came up with a lame justification for shoe-horning the material into the book. That was a mistake. I’m older and wiser now or maybe my ego has simply defalted a bit, though I think that’s unlikely. Anyway, I hope you like Television Fast Forward….. Maybe I’ll do another edition between writing Fox & O’Hare novels. I’m red/green color blind. So is my brother Tod. My sister Linda sent us both an article about these new glasses by Enchroma, which supposedly correct for red/green colorblindness. Naturally, I had to try it. Yes, they worked…but not instantly. It was gradual…at least for me. (as you can see for yourself in the video). You can only wear these glasses outside and it takes an hour or so before it starts to really kick in (they have different glasses for indoor use). The first night I had the glasses, in the hour or two before it got dark, I sat at an outdoor cafe and pointed out people to my wife Valerie and tried to identify the colors of their clothes. It seemed like everyone was dressed like clowns…by that I mean, very bright and garish. The effect has been much stronger as the days go by. The whole world just looks brighter and much more vivid…especially trees and bushes. I had no idea green was colorful (if that makes any sense). It’s like certain colors are under a spotlight or have been highlighted or spiked with neon. The reds, greens, pinks and purples… or at least what I think are those colors… leap out at me as if illuminated. Purple and hot pink are just stunningly bright to me. I can see a green traffic light and a red light at an intersection now. I can see gradations between greens. I can see that the serial numbers and the seal on the dollar bill are bright green. I never knew that. Hell, for the first time, a dollar bill looks green (or what I see as green anyway). Same for freeway signs. I had no idea they had a color. But there are times the glasses can give you wrong cues. There was a color on a sign at the Ventura County Fair that I was sure was green, and that Valerie kept telling me was light blue… well, I can see blue, and that sure as hell wasn’t blue to me. Later, I took the glasses off and went back to see that sign…what I saw as green now looked gray to me. Valerie put on the glasses and the blue looked green to her. So there must be something in that shade of blue that the glasses pick up and amplifies to create green. Color aside, everything seems sharper and more in focus with these glasses on. When I take the glasses off, the world seems washed out and drab to me… especially trees and bushes, which seem to merge together into blandness. With the glasses, I see distinctions between the greens, which I suppose is what gives me that illusion of the world coming into sharper focus. What’s even stranger, though, and it may be my imagination, is that there seems to be a residual effect even when I am not wearing the glasses…perhaps becuase I know what some things are supposed to look like now and my brain is correcting for that. He went back and looked at that same tree I did…and had the same reaction. He’d never seen those colors before, either.